Gifts From Gavin: 2012 Gifts From Gavin! 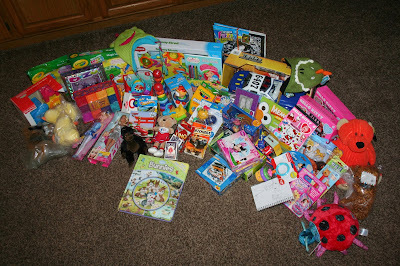 20 friends and family members joined us in our Gifts From Gavin Toy Drive this year! 60 toys (!!) and $195 were donated by them over the course of last week. 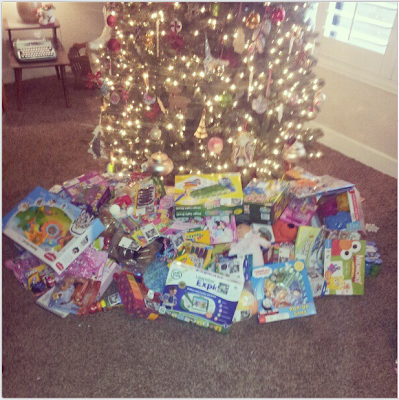 We'll add our family's donation of $100 to order almost $300 worth of MORE TOYS!!! After they arrive, we'll be taking them all down to the hospital around the first week of November. Thanks so much for joining us...it was a super fun week seeing and talking to you all, and our kids loved envisioning the fun the hospital kids will have with these awesome toys!! !